at the 23rd annual Hemp Industry Association Conference in Denver CO. The preeminent event of the year bringing together the most knowledgeable members in the industry of hemp from Universities researching hemp crops in America to some of the top business professionals. If you are interested in hemp, want to get started in the hemp industry or have an idea for hemp use in a particular application this is an event not to miss. To register sign up here. This organization leads the way to hemp legislation and hemp advocacy in the United States. 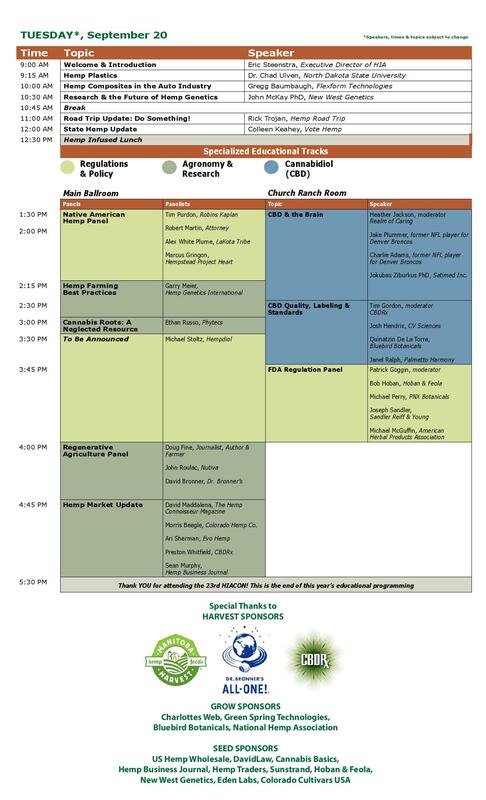 What: Speakers, hemp farm tours, business relations, meet and greet with the top professionals in the hemp industry. 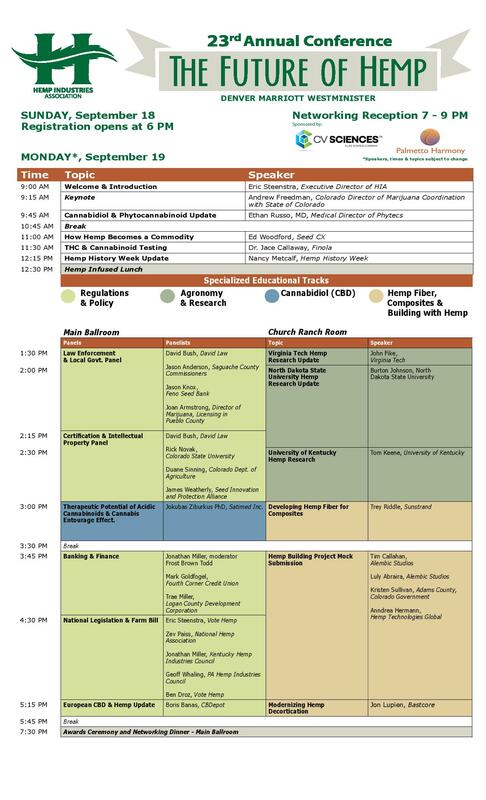 Hemp Industry Association Conference Full Schedule just announced!